Eastern Europe has not been amongst the most explored tourist destinations in the world. The unexplored beauty of these magical mysterious lands is an added thrill to the already magnificent architecture and heritage of these ancient lands. Sibiu is a city in the heart of Romania, but its other name, the unmistakably German Hermannstadt, hints at a whole different history. The monuments in the city show different aspects of this fascinating city. But the most amazing thing is that they are all within a few minutes’ stroll of each other. A couple of hours is all you need to take in these sights that testify to the centuries-old heritage of Sibiu – or rather, of Hermannstadt. Located above the small village of Smolare, on the slopes of Belasica Mountain, the Smolare Waterfalls are an attractive tourist destination which will definitely impress you. Deep in the forest, surrounded by splendid green nature, tall trees, and various plants, the waterfalls are known for their outstanding beauty and the tranquility and peace they provide for all visitors. They are the highest in Macedonia falling from a height of approximately 40 meters. In order to reach the waterfalls, you need to walk across nature path that includes 300 stone steps made from natural materials and pass by wooden bridges which are built by the local villagers. Once you reach them the feeling is indescribable and unforgettable. 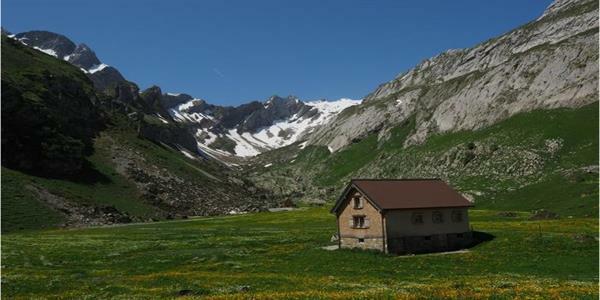 Sainte-Agnès is perched at an altitude of 800m and offers a wonderful panoramic view of the Mediterranean. It used to protect the Franco-Italian border on the Maginot line and was a coveted military site for a long time. Today, the village offers visitors seeking authenticity its narrow paved streets, its unobstructed view of the French Riviera and its sunny weather. As part of a bay in Montenegro, Kotor is an ancient city that dates to the medieval days. Well known for its natural beauty, Kotor is equally impressive thanks to the many ancient ruins that are still found there. If you are feeling especially brave you can go paragliding off of the top of the cliffs that surround the secluded area. Keep in mind that you will not be able to drive a vehicle within all areas of Kotor, as the Old Town is prohibited to motor traffic. In the Czech Republic, one town is surprisingly undiscovered yet rich in historical value. Today you can see most of the original architecture. At the Sedlec Ossuary, aka the Bone Church, you will find a chapel that has been completely decorated—using human bones. They have to fence at the festival, which is quite a fitting sport for a town founding during the era of knights in shining armor with their jousting and swordplay. Appenzell, one of the least discovered destinations in Switzerland. Positioned at the base of the Alpstein mountains, Appenzell is home to brightly painted houses where offbeat characters reside. Traditions of the Appenzell residents date back for centuries, giving you a glimpse of what it would have been like to live here eons ago. Warsaw is known as the “Phoenix City”. The Polish capital was practically demolished during World War II but has since reinvented itself as an up-and-coming metropolis. Visitors can check upscale shops near the city’s Palace of Culture and Science, or take around the majestic Royal Castle and Old Town Square. Visit the buzzing Praga District on the city’s right bank, known for its lively bars, art galleries, and underground theaters. Located in southern Dalmatia, Korcula is the largest island. 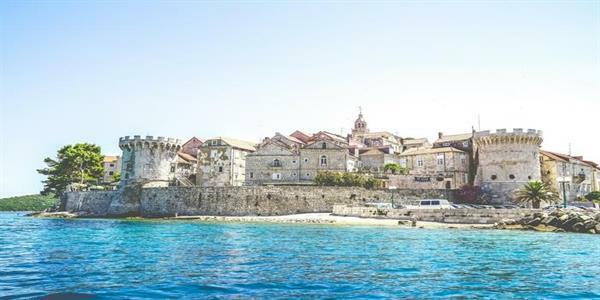 While the turquoise waters of the Dalmatia region are becoming increasingly popular among travelers interested in finding ancient and unspoiled cities and seas, Korcula is somewhat off that beaten path. In the city, you will see dozens of stone fortresses dating back to the medieval days of kings, queens, and knights.Thankfully you can also expect to find friendly service and a comfortable atmosphere during your stay. If any city in Italy can be called undiscovered it is Bolgheri. A part of the region of Tuscany, Bolgheri is famous among the locals for its blooming vineyards, peaceful verdant hills, and meandering grassy paths through the village. Once you arrive at the village center, be prepared to be amazed by the Bolgheri Castle. When in Bolgheri, if you opt to stay the night, you have options for two bed and breakfasts, both of which are laid back and secluded. 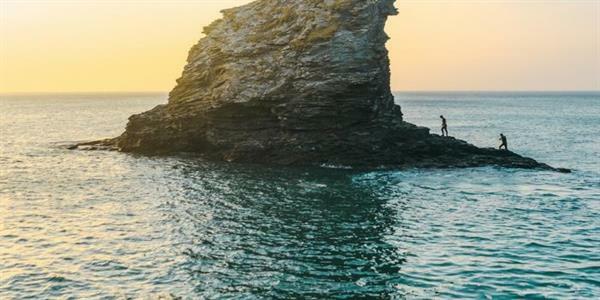 Often overshadowed by Santorini, Folegandros proposes a welcomed escape from the hustle and bustle of more popular Greek islands. The beaches here are clean and less crowded. As the place is little less known it is less crowded. Visitors can explore untouched beaches, sample traditional food, and spend quiet evenings contemplating the breathtaking, sun-touched cliffs.